The Zhongxing Road ramp of the North-South Elevated Road is slated to open to vehicles by the end of the month. Frames for noise-reduction panels have been put up as construction of the Zhongxing Road ramp of the North-South Elevated Road near Shanghai Railway Station nears completion yesterday. The ramp is slated to open to vehicles by the end of the month. Vehicles in north Shanghai will then be able to reach the railway station’s north plaza through the ramp. 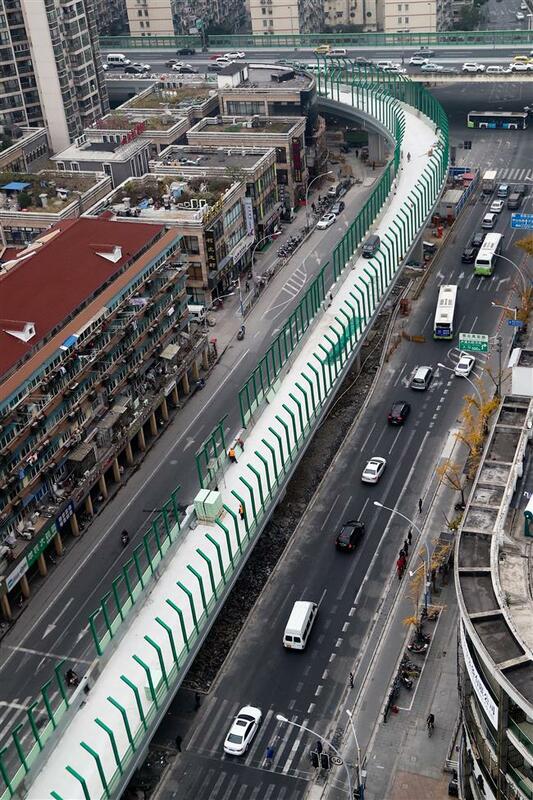 The ramp is expected to ease traffic congestion near the station and on Tianmu Road, especially during the construction of the Beiheng Passage, which will connect the districts of Changning, Putuo, Jing’an, Huangpu, Hongkou and Yangpu. Traffic planners hope the ramp will encourage more passengers to enter the railway station from its north plaza.